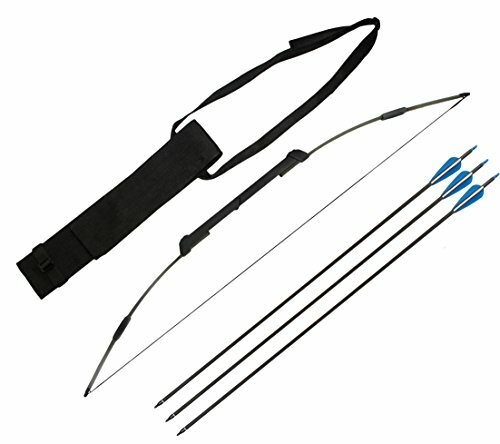 Nomad Collapsible Survival Bow and Arrows - Moar Stuff - You don't need it but you know you want it. 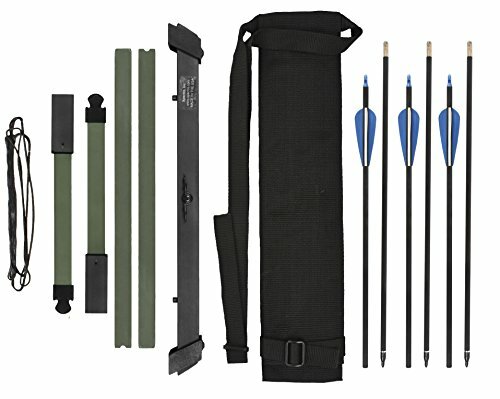 The Nomad set of Collapsible Survival Bow and Arrows is a great addition to a bug out bag or survival kit. This collapsible bow fits neatly in a 17 inch nylon storage pouch along with 3 included break-down arrows. Fully assembled, the Nomad is 48 inches long and offers a 45 lb. draw weight. The Nomad Collapsible Survival Bow and Arrows is perfect for any survival enthusiast, hunter, backpacker or just target shooting. Assembly requires no tools. All you have to do is slip the limbs and riser together, string and the bow is ready to shoot. The 3 survival arrows come in two pieces that simply twist together. They come with field points but, you could change them easily. Many reviewers seem to like 100g broad-heads on them. 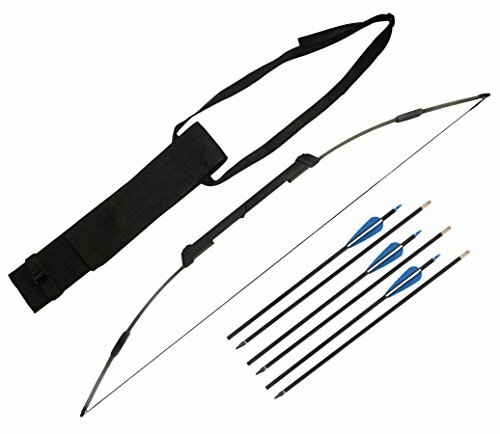 The Nomads caring pouch can used as a quiver that will sling over the back or tightened around the waist to hold the fully assembled arrows while hunting. However, you may find this to be a bit cumbersome as the pouch isn’t really optimized for this use. So, if you’re looking for a survival bow to add to your survival kit or you just want a light bow to take hiking with you, the Nomad is exactly what you’re looking for. Draw Weight: 45 lb. draw. Arrow rest, 3 break down arrows and carrying case included. Super strength fiberglass riser and limbs. Compact take down design made in the USA.